This was right around when Elon suggested that a 1 GWh energy storage system may be announced sometime in the coming months. 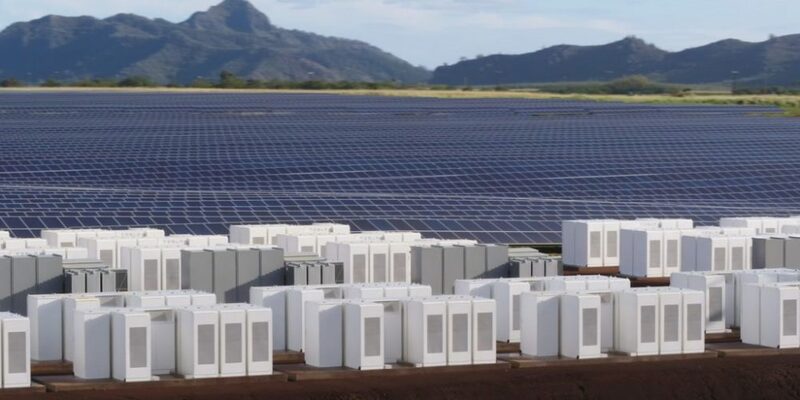 As there have been no official announcements of a 1 GWh energy storage system, this might become be the first. There have been 1 GWh+ energy storage bids, but no projects this large awarded to date. If Tesla had independent marketers to promote solar shingles panels for homes or build small solar panel production plants in every state in the US to add jobs, this would put a good face on Renewables over all. I’m in sales, I worked for NRG years ago, My wife and I just sold are Solar powered home in NY for 35% more then the asking price, Every home should be a Green Energy Home, Independent Sales and Marketing is the Way to increase solar deployment. Right now they’re sold out – probably through the end of the year, if not into next year. They won’t need salespeople just yet. Soon maybe though. John. this why we need more production plants here, Americans can win the production war through Renewable Energy jobs, Tesla has no one sharing a basic way for the US to become the #1 clean energy manufacturer of the world, I know he cannot do it by himself, but he can lead the Energy Revolution, Team up!